Employees throughout the state of Alabama have the right to work in a safe and secure environment. For too many, however, this is simply not the case. 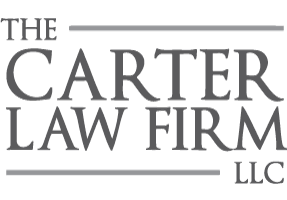 Having represented folks throughout Gardendale and Fultondale for more than 30 years, the lawyers at The Carter Law Firm, LLC know what it takes to help you get back on your feet. The first thing you should do following a work-related injury is seek treatment — certain injuries, even those occurring in the workplace, are simply too severe to let go untreated. The second thing you should do is notify your employer. In a perfect world, your employer will provide you with the relevant documents and inform her or his insurance carrier about your injury. If your employer fails to help you, however, legal action may be necessary. In the state of Alabama, employees have two years from the date of the accident to file a workers’ compensation complaint in court. It’s important to remember that all claims for compensation will be prohibited unless filed within this time frame. For more than three decades, The Carter Law Firm, LLC has been helping injured Gardendale and Fultondale employees file workers’ compensation claims. If you’ve been hurt on the job, call (205) 808-0002 now to schedule a free consultation.